​We want to make sure your in the right spot, if you are looking to pay an existing invoice please Click Here or on the PAY YOUR BILL ONLINE BUTTON to fill out the right form. Also access our WATER FEATURE PRICING forms to choose your package and build and price out your water feature. ​Pondscapes of Charlotte’s goal is to help each and every client succeed in creating & maintaining his or her unique space that fosters a relaxing lifestyle and an eco-friendly environment. 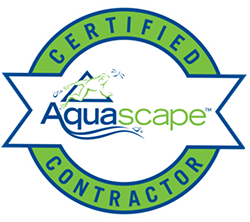 We install and maintain koi ponds, waterfalls, fountains, and more all in and around the Charlotte, NC area. We want to leave every customer feeling confident that they received true value for their investment. Please fill out this quick form for your over the phone initial consultation. Please include a couple of photos of the space you are thing about having something installed, or your current pond or water feature that is in need of service. That's It You're Done ! Please allow a few minutes for larger photos to process after submitting!